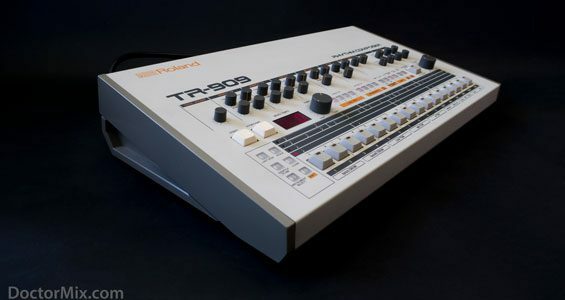 To download our free Roland TR-909 samples please join our newsletter here. 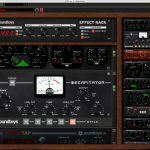 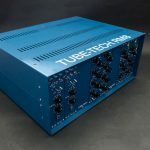 We won’t spam you, just send you great videos about music production every now and then. 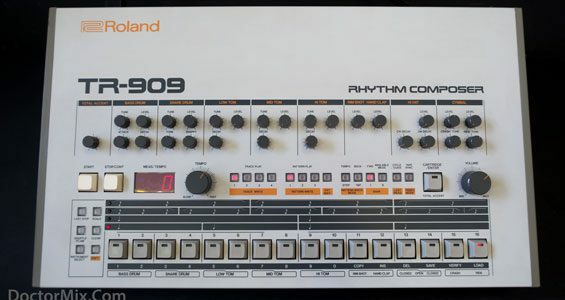 The Roland TR-909 Rhythm Composer is an electronic programable drum machine produced by Roland Corporation (Japan) in 1984, three years after the famous TR-808. 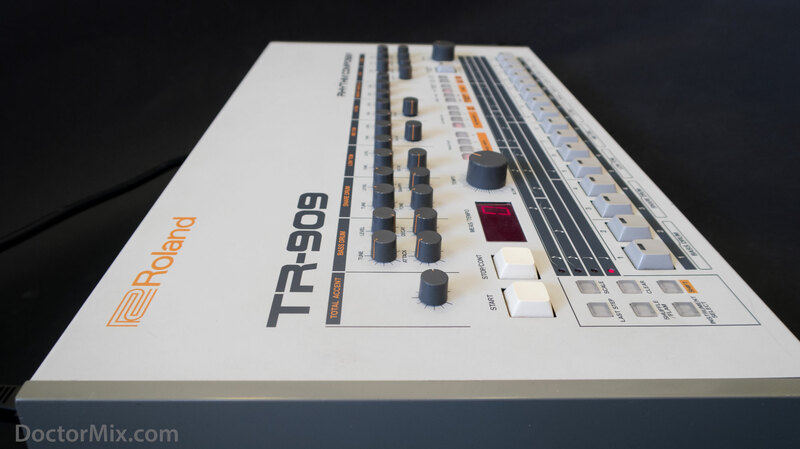 At the time 10,000 units were manufactured and sold. 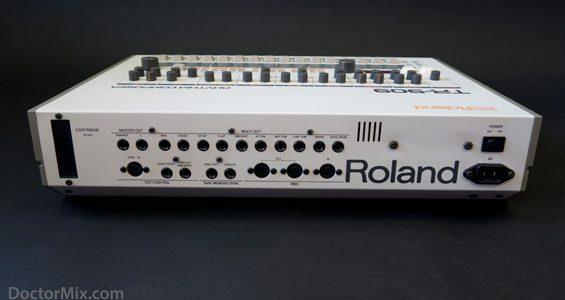 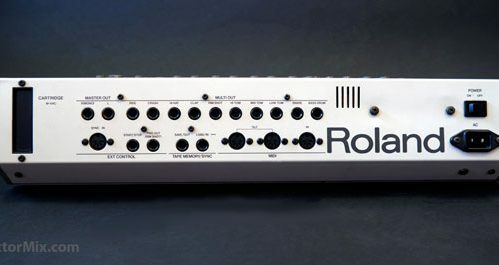 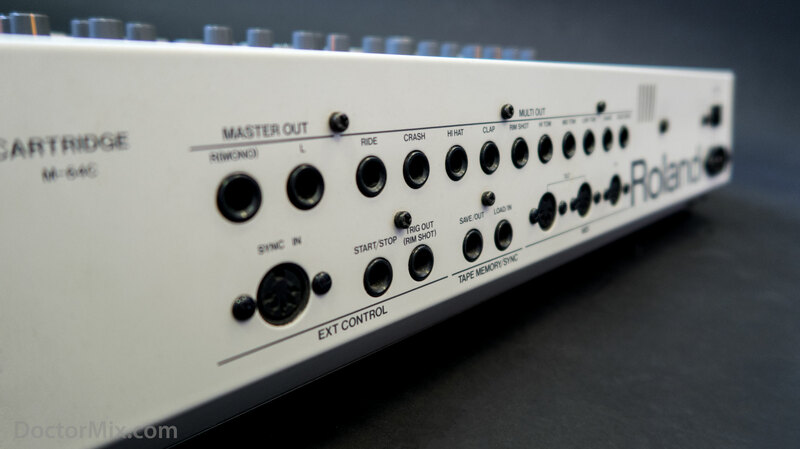 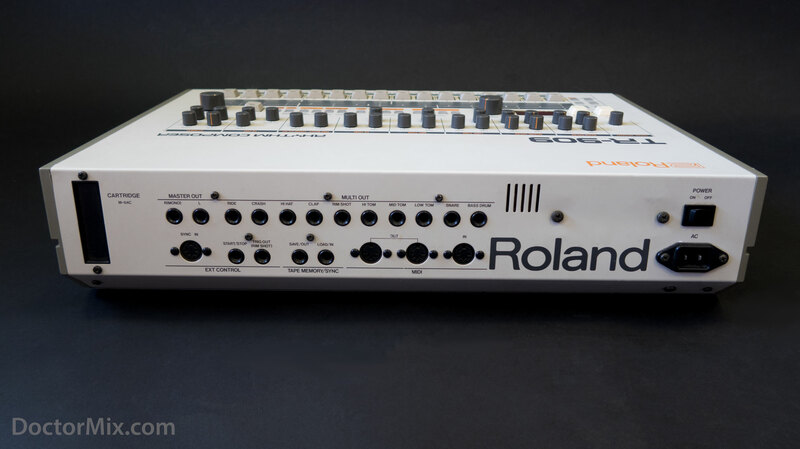 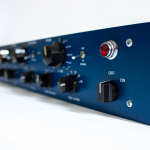 Unlike other models of the time, the 909 had full MIDI and CV/Gate capabilities. 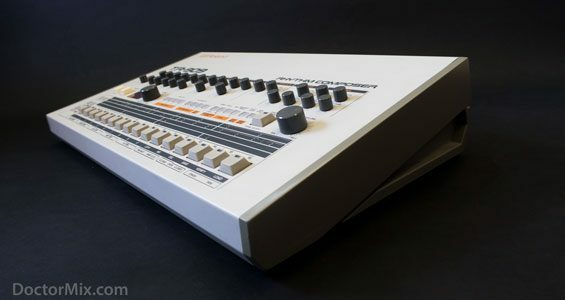 On a 909 most sounds are generated by a synthesiser engine with oscillators, filters and amplitude envelope modulators. 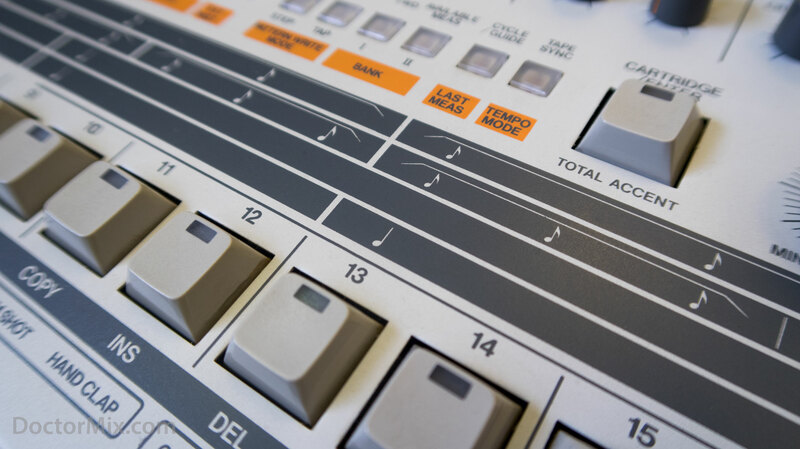 However hi-hat and the cymbals are 6-bit samples, which contribute to the distinctive tone of the drum machine. 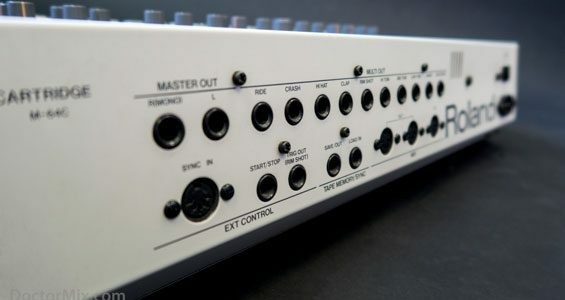 Pitch, attack, decay are amongst some of the parameters that can be controlled from the front panel. 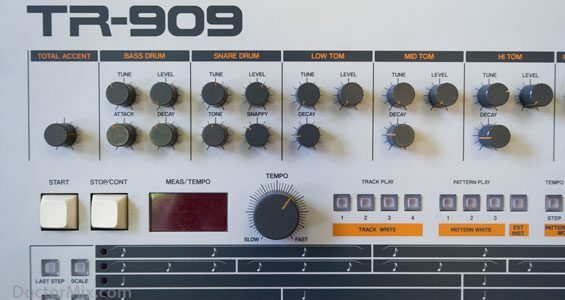 The 909 also features the “accent” function, where some of the steps in the sequencer can be programmed to make some drum hits sound louder than others. 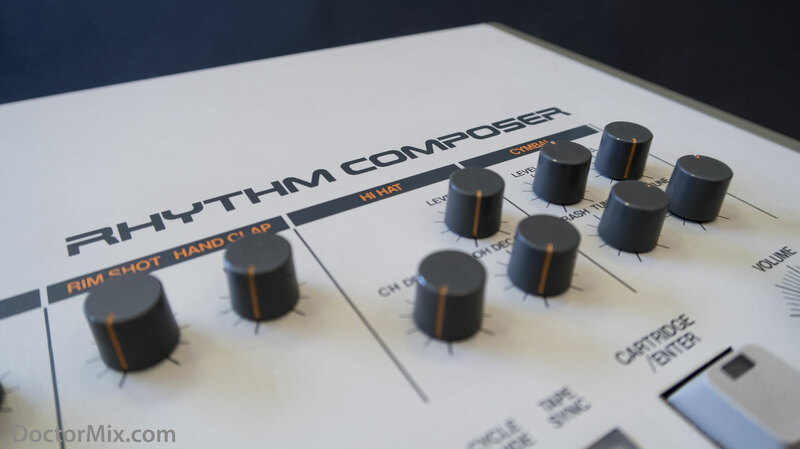 This was designed as an attempt to “humanise” the drum beat. 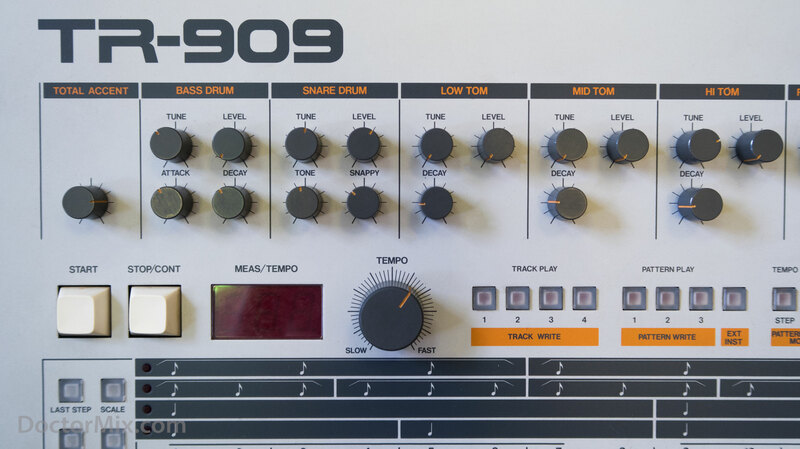 As well as accent on individual drums, the 909 features a “total accent” function that allows all drum sound to sound louder on selected steps, which contributes enormously to the overall feeling of the groove. 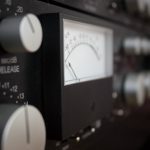 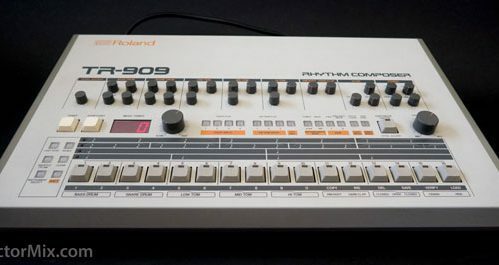 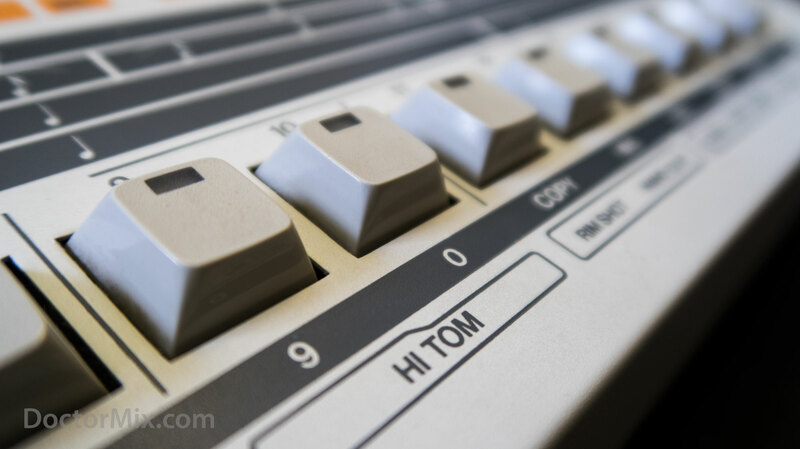 As with the 808, the 909 sounded a long way from the more realistic alternatives from Linn and Oberheim that had all but secured the upper ends of the drum machine market. 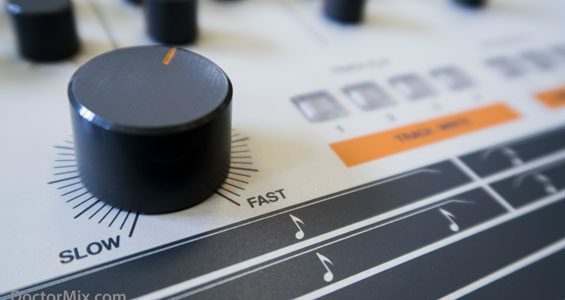 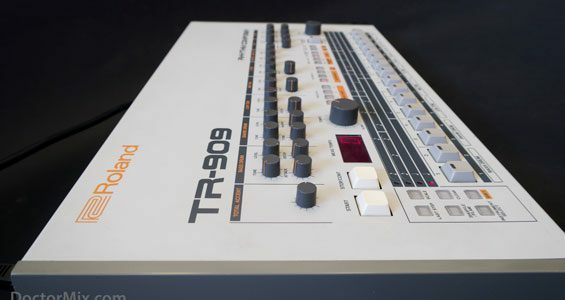 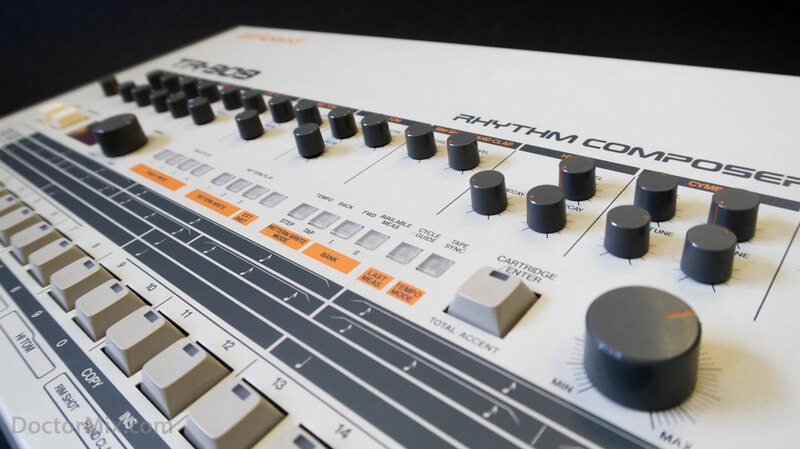 The realism of the TR-909 was limited by technical constraints, and this showed when the machines were released at relatively, low prices before its rise in popularity, coinciding with the beginnings of house and techno. 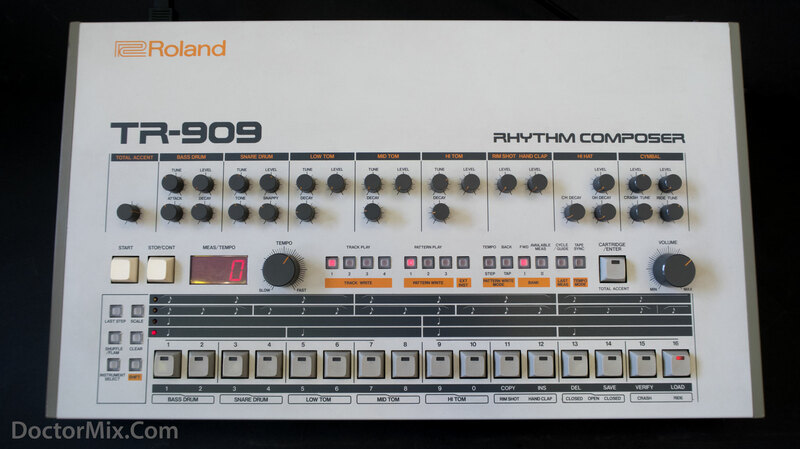 If the 808 was the rhythmic godfather of hip hop music, then the 909 is the same to techno and house music. 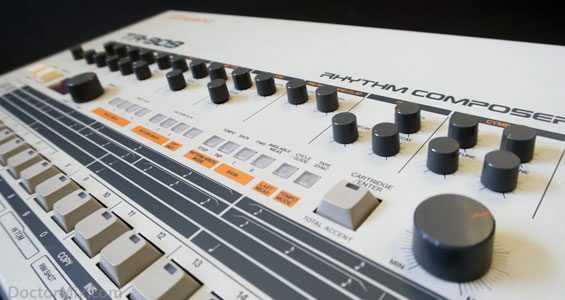 When techno and house pioneers got their hands on the machine, its analogue sounds – which, in the bass end particularly, provided the relevant thump and the aggressive hats and cymbals added a further idiosyncratic touch to the overall sound of the machine. 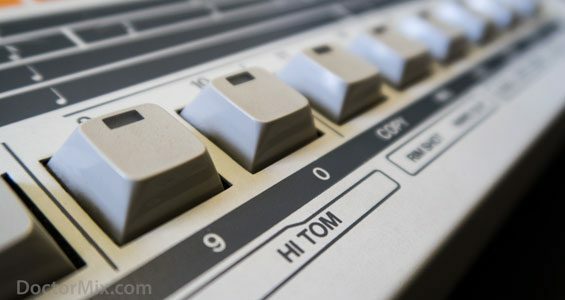 The inclusion of a flam feature added further to the possibilities. It was, perhaps, the shuffle feature that further defined this as a perfect tool for House. 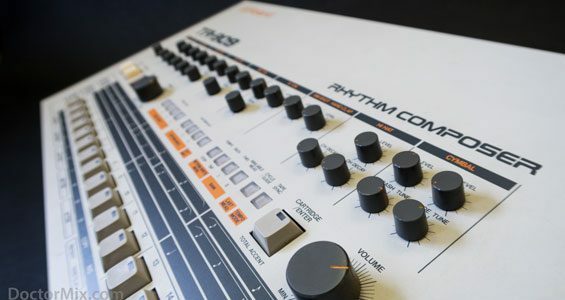 With its roots in R&B, Disco and even Gospel, this rhythmic ‘swing’ was a great fit, and also key to defining the sound of modern dance music. The simple step sequencer was ideal for four-to-the-floor beats, and its abilities to save a number of patterns made the box ideal for full-track studio work as well as live duties.